Jazz on the Tube provides a free educational service to the world and some of the people who receive it voluntarily contribute towards its upkeep. We operate as a not-for-profit enterprise. However, we are not an IRS recognized “non-profit” therefore you cannot deduct your contribution from your taxes. To be recognized formally as a non-profit, we’d have to incur the costs of applying to the IRS for non-profit status. In the process, we’d be inviting the IRS into our lives and this would add significantly to our current very low management and bookkeeping overhead. Our “business” is very simple: We use voluntary user fees and advertising to pay the monthly server bill, the monthly email software bill, the monthly tech helper bill, and ongoing bookkeeping and computer security costs. 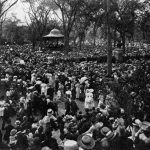 If we have anything left over, we spend it on research and supporting the education of young musicians and related causes. 1. We did research and networked in Cuba which was solely responsible for David Amram being invited to perform at Havana Jazz Fest in 2018, his first return to the country in over 40 years when he first visited the country Dizzy Gillespie, Stan Getz and Earl “Fatha” Hines. 2. We brought jazz educator Camilo Moreira of Havana, Cuba to New York City for a week of networking, education and music performances. 3. We arranged for the “Salsa Meets Jazz” Benefit for Puerto Rico to be filmed, edited and distributed via the Internet for free as a fundraiser for Puerto Rico relief. We did all three of these projects for a grand total of less than $7,000, or an average of $2,333.33 per project. We’re able to do do this because each year we donate tens of thousands of dollars per year of highly skilled labor to Jazz on the Tube. Very few, if any, non-profits can operate with anything even remotely approaching our level of financial efficiency. If you want a “leveraged” investment in advancing creative music, where one dollar does the work for $10 or more, we’re your guys. If you need a tax deduction, that’s one thing we can’t offer. 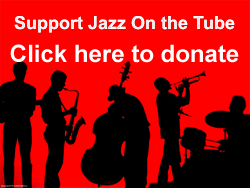 Click here for how you can support Jazz on the Tube by paying a voluntary user fee.